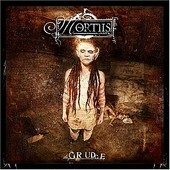 The new album from Mortiis may shock some people, but Mortiis has succeeded in shocking people his whole career. This Norwegian metal figure's latest 10-track release sounds a lot more like KMFDM and Ministry than you'd expect, as tracks like the programmed beat-led "Decadent and Desperate" could conceivably be danced to. The rest of the album shares the same industrial-strength dance feel too, as the music on The Grudge doesn't sound like it comes from an artist so entrenched in the black metal genre, but when heavy guitars drop in on ethereal tracks like "Twist the Knife", you can feel both the honesty and the impact. If you're up for an electronic metal adventure, ditch Marilyn and Dope and head straight to The Grudge.